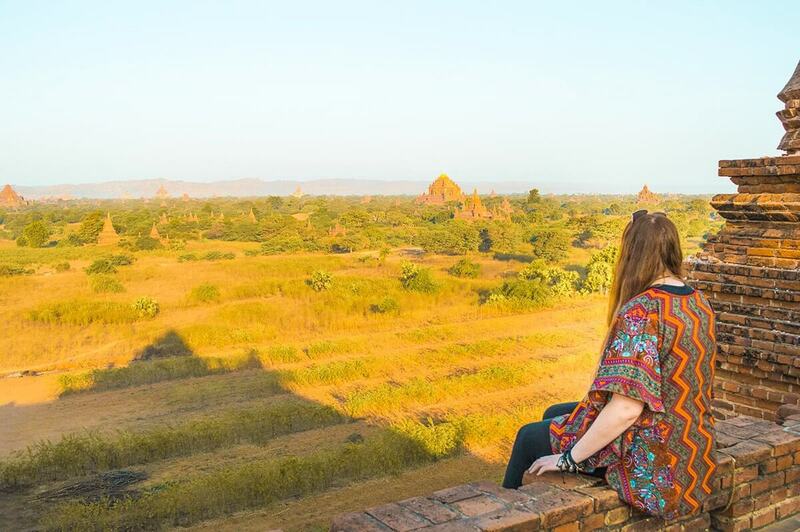 Bagan is such a beautiful place and is a must visit when in Myanmar. 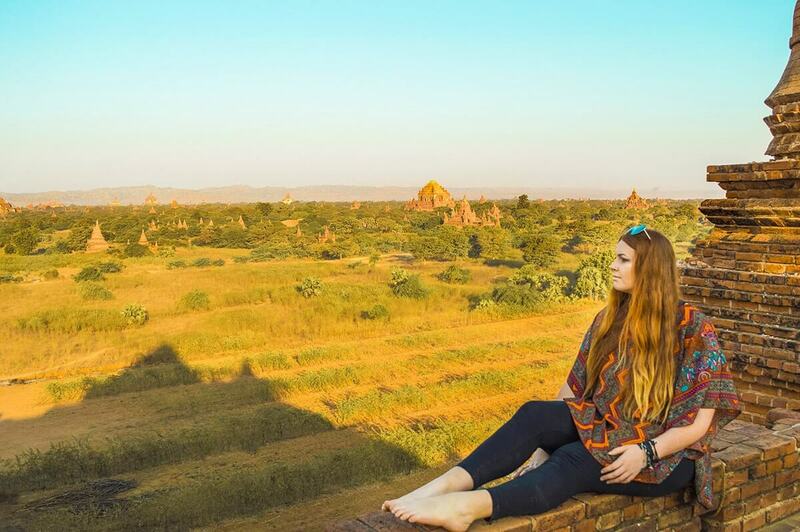 I created my 2 days in Bagan itinerary to allow you to truly maximize your time. 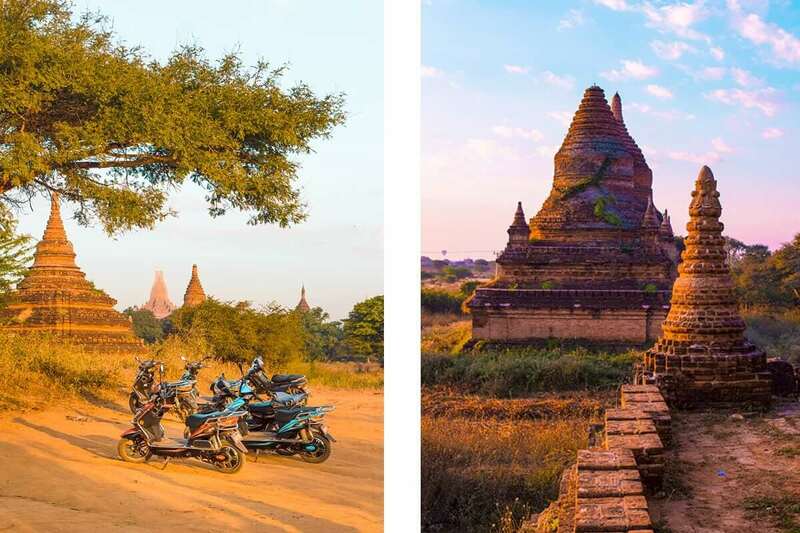 It allows you to experience the best of Bagan, while checking out the endless pagodas, eating some great food and even riding ebikes around! After a long night on the sleeper bus, which included locking myself in the toilet, I finally arrived at Bagan, Myanmar. Problem is, it’s 4.30am and I am in a strange location being bombarded my numerous men demanding outrageous prices for taxis. Supposedly the sign right next to them stating fixed prices is old. Not the greatest start to exploring the magical Bagan. Turns out there is another couple at the bus station heading to the same hotel. So, much to the taxi drivers disappointment we share a ride that costs me $2.20 / 3000 kyat. That’s still overpriced by the way. We are all staying at the Royal Bagan Hotel, them in a private room, whereas I had booked a dorm for $13.50 per night. Of course check in is not until later in the day so we locked our bags up at reception and walk down the dark road, determined to find somewhere open at this ridiculous hour renting e-bikes. By the way I do not recommend staying at the Royal Bagan Hotel. The dorms there were just regular hotel rooms with extra beds squeezed in. This meant there were only a couple power points in the room to share between 6 people. Also I had booked a 6 bedroom dorm, but the Hotel thought it was okay to place camping stretchers in there to make more money. The 6 bedroom dorm soon become 9 beds. Also, there were only 3 room keys to share between 9 people. When a new person would arrive the staff would make the same promise to get another one, but it wouldn’t happen. Same thing if you complained about booking a 6 bedroom dorm and ending up with 9 people, they would promise you can change rooms tomorrow, but tomorrow they would say one more night, so on and so on. Sorry about the rant, just take my recommendation and stay at Ostello Bello, even if it’s a little more pricey. Trust me its worth it. Walking down the street we spot a large Burmese man pushing e bikes onto the side of the street. He is just opening and we get first pick for $5.00 / 7000 kyat. Also I love that there is no need to pay a deposit or hand over your passport here. With the sun rising soon, we were off to our first temple, Buledi. Riding over the sand was extremely difficult. 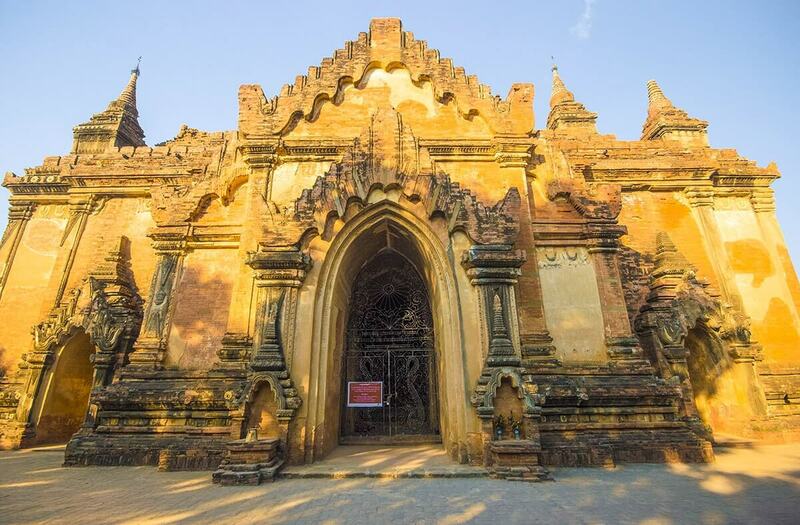 Though, soon we are greeted by our first temple, along with 20 other e bikes, a couple cars and two horse carriages. Staring up at the numerous people above us, it is obvious we arrived too late to get a good seat. Though, we mange to find one next to a beautiful structure which provided some amazing photo opportunities. As the sun rose, turning the sky all colors of pink and orange, the hot air balloons soon followed. It is a truly beautiful sight, even though I was absolutely exhausted from the bus, it gave me the determination to continue exploring. Onward to Shweleiktoo where there are many stalls set up just outside the main entrance Within the archway to the temple is a long red carpet stretched out, leading down a path to the building. Unfortunately the inside is locked up, but with the trees spread out over the grounds and little squirrels jumping over the orange bricks it is still worthwhile visiting. On the horizon stands a massive temple which looks like it would provide the best views over the area. Without looking at the map we manage to make our way there with little wrong turns. The complex of Pay-tha-da-paya is massive, with narrow staircases leading to the top. Once we have climbed to the highest point is the most stunning views and temples as far as the eye can see. We pull over at a temple where there is also a Burmese family living on site. They greet us all with a smile and their young son comes running over, super interested in the white foreigners. 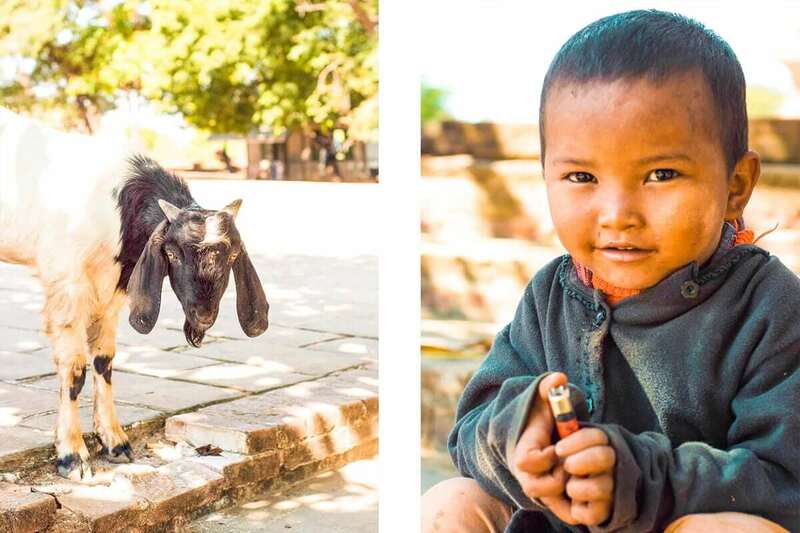 He shows us his goat, communicating through the common language of smiles. This is the first moment were I am shown the realities of their world. The young boy grabs a lighter and starts pretending to smoke, turning the lighter on, putting his fingers up to his mouth, then inhaling and exhaling. This catches me by surprise, especially when he offers me the lighter. I politely decline and say nothing else, like who am I to judge their world? Changing the subject I show him my camera, taking photos of the goat and laughing. I give him a carabiner off my backpack which caught his interest, then it was back on the sand road. It is about a fifteen minute walk into the main food street where we stop at Weather Spoons Restaurant. 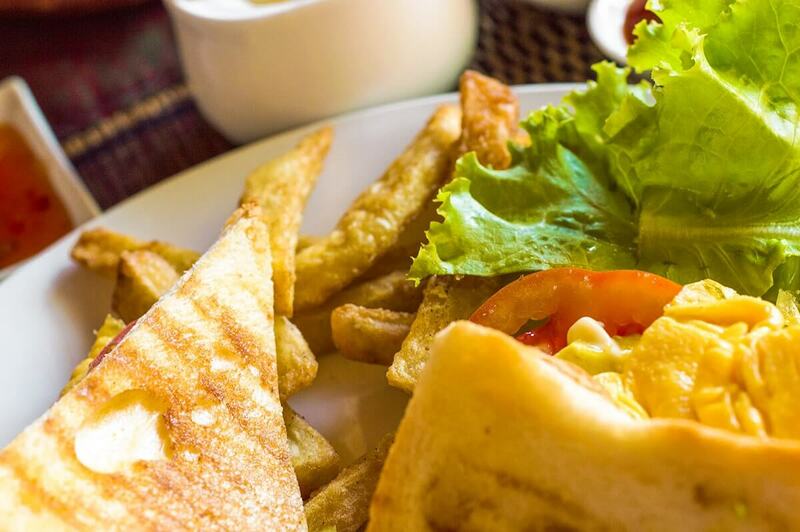 I have a scrambled egg and avocado sandwich with a soda for $3.60 / 5000 kyat. It is too hot to go out and explore in the sun so we wait until to afternoon before heading out again. Unfortunately, we leave it a little bit too late, especially as we are heading to see the temples on the other side of town. Luckily, I manage to find a parking spot and crawl through more narrow staircases just reaching the top as the sun is going down. 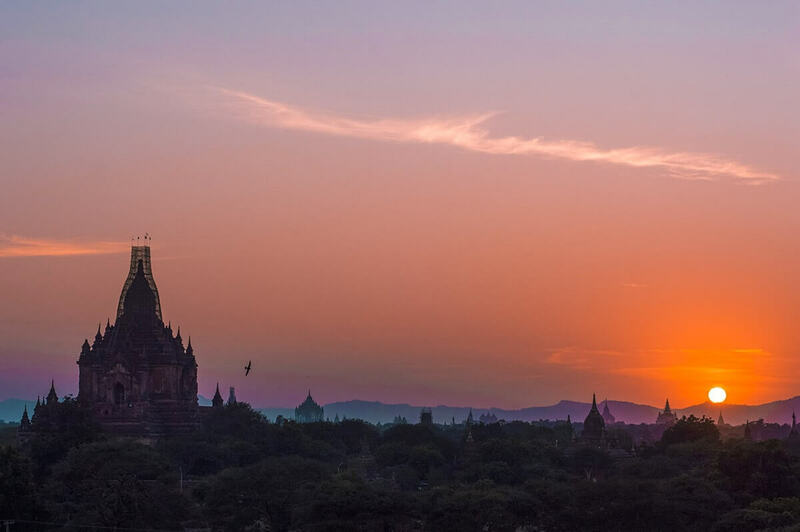 With temple views surrounded by a pink and purple sky I have no doubt Bagan is truly magical. With poor sense of direction I follow my friends back to the main eating straight which seems to take forever in the dark. All day I had been wearing sunglasses to avoid getting sand in my eyes, but that’s not possible under nightfall. The streets are filled with tourists heading back and locals heading home from work. We decide to go back to Weather Spoons Restaurant for dinner where I get a pizza and soda for $4. I call it an early night after barely sleeping on the night bus and crash soon after getting back. 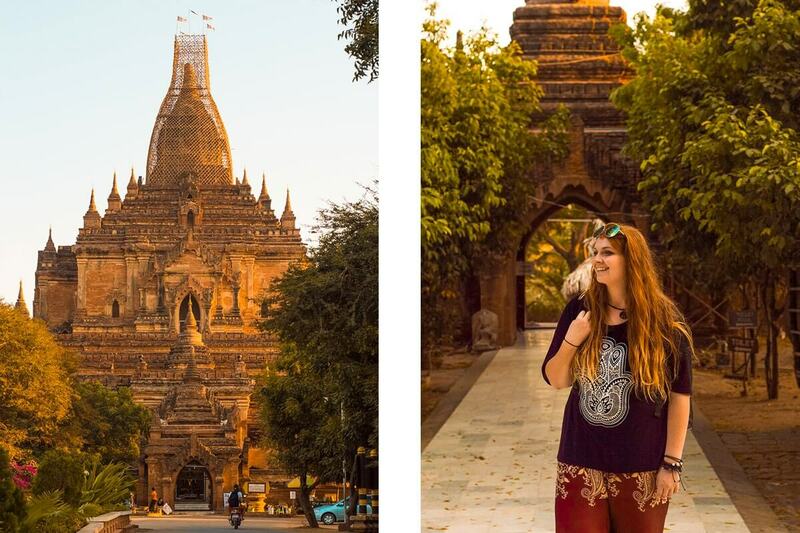 Check Out How To Explore The Temples Of Bagan! Today I woke up feeling not the best, with a scratch in my throat and a sniffly nose. Seriously, only I would manage to get ill in thirty degree weather. 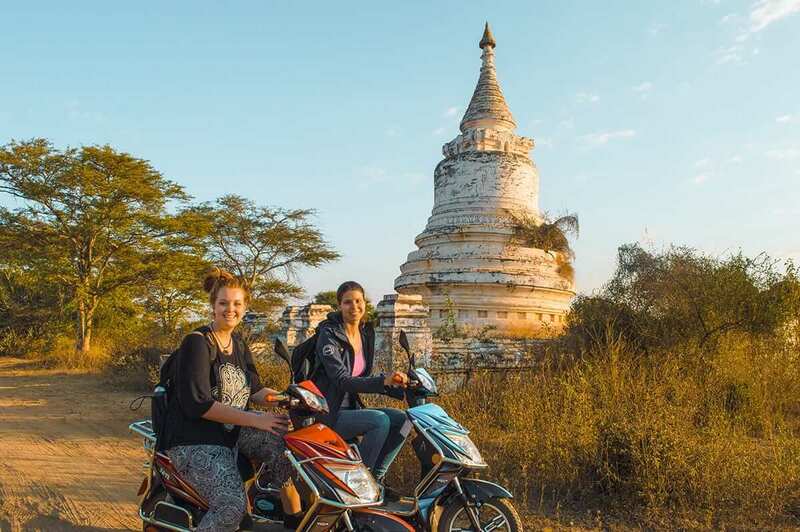 But alas, I was determined to enjoy my time in Bagan exploring this amazing city I had seen in numerous Facebook videos and Instagram posts. Onward to my second sunrise. I walk down towards the same gentleman as the previous day to hire e bikes, but unfortunately no one is awake. Soon a light turns on next door and a lady emerges with multiple e bikes. Problem is she is wanting a lot more than the man the previous day, and they are in way worse condition. I tell her the man next door charges $5.00 / 7000 kyat and she agrees to give it to me for $6.00 / 8000 kyat – even with a missing wing mirror. Back to Buledi, this time getting a seat up top with only a handful other people who were crazy enough to get up so early. Now it is a waiting game, first the crowds come, then the hot air balloons go up and finally the sun rises. Slowly each one happens and with camera in hand I catch all the magical moments. Filling up my camera with nearly the same photo of the sun about a centimeter higher than the previous. I am enthusiastic to say the least. With my tripod squished between my legs I travel over the sand roads, attempting not to loose control, until I reach one of my favorite temples. Pay-tha-da-paya is on the other side of the archaeological zone to Buledli, where many people watch the sunrise. To get there you have to constantly drive half an hour without being tempted to stop at all the other beautiful temples along the way. This meant it would be quiet, perfect. Arriving there my instincts proved correct with just me and a Burmese family who were all dressed up taking photos. Even the stalls below hadn’t opened yet for the day. With the balloons descending in the background a manage to get a few photos. 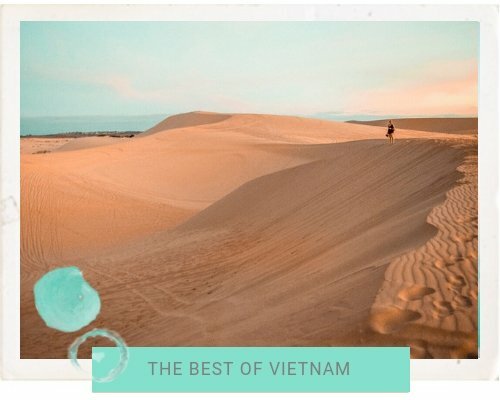 You know those amazing photos of solo travelers you see on Instagram. Well chances are they use a tripod, running back and forth looking like an idiot. Well, right now I was doing the exact same. To say I got some strange looks from the locals would be an understatement. 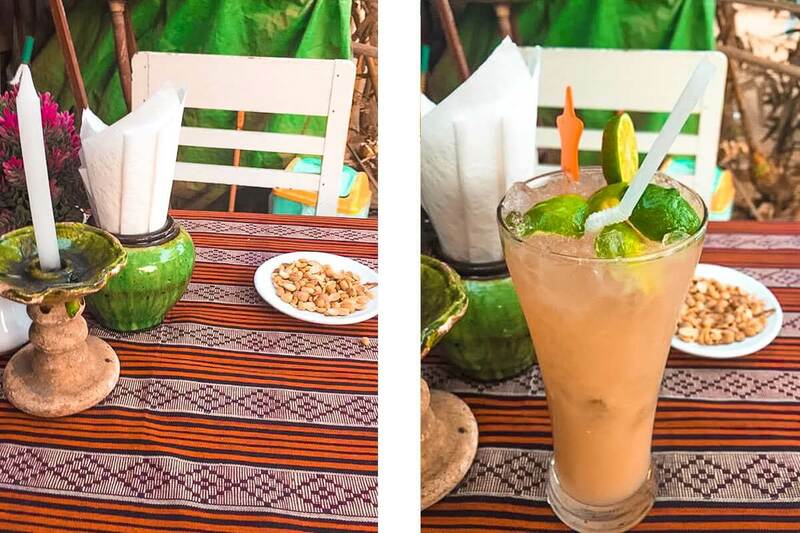 Though, it is certainly easier than asking a stranger to take your photo as you can set it up exactly as desired, ensuring you’ll get that dream shot. After running around like a mad man I quickly drive back to the hotel before the breakfast closes. If breakfast is included in the room rate I promise you two things; number one that I will always be there for it; and secondly that I will at least have seconds; no shame. What I do love about Bagan, nearly as much as the temples, is that with every meal you get a little plate of peanuts to munch on. To say I ate well here would be an understatement. For the afternoon I let laziness take over and enjoy the pool. I also manage to book tickets to my next stop, Mandlay, which cost $7.00 / 9000 kyat. 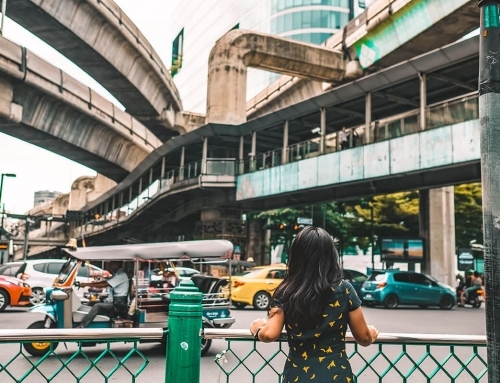 I feel like I get so much value for my money here, and I never feel the need to haggle which is very unusual for South East Asia. For dinner it is back to Weather Spoons Restaurant. I am a creature of habit if you haven’t noticed by now. 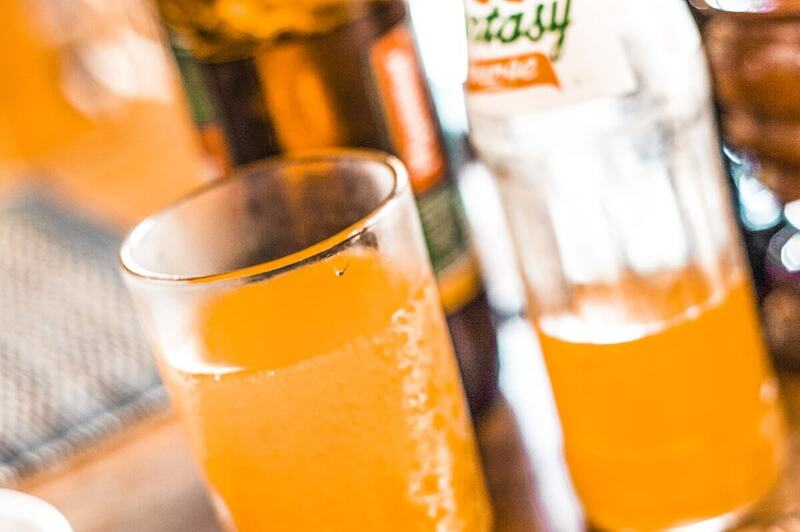 This time I add chips to my order of scrambled egg and cheese sandwich with a soda costing $7.00 / 9000 kyat. 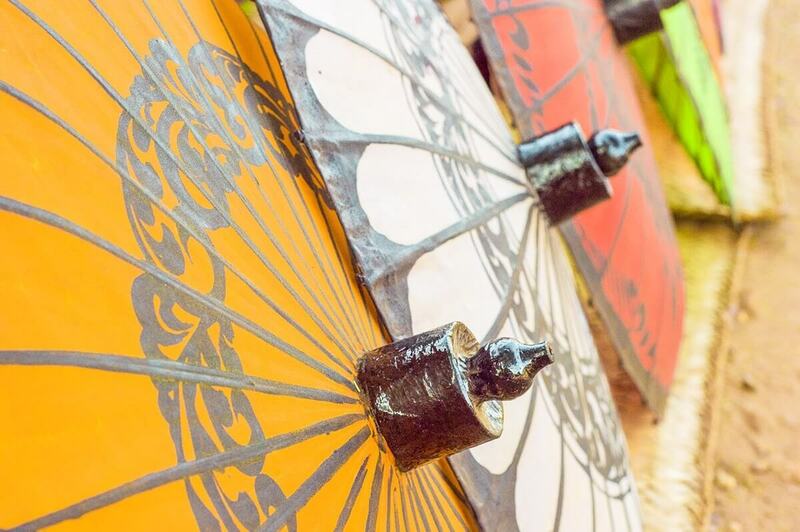 Want more Myanmar inspiration? Check out…. Disclaimer: This post contains affiliate links, this means if you click on it and purchase something I get a small percentage at no extra cost to you. Though, as always all opinions are my own and your support is much appreciated. Fascinating story! I totally get the photography day thing and taking a LOT of photos of the same thing. I do it, too! Oh my goodness you have the best photos in this post! Please tell me you’re a professional of some kind? 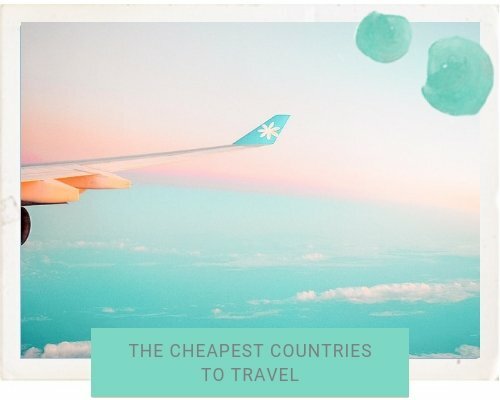 I really want to visit Myanmar, and this seems to be the perfect way to do it. Thanks for sharing! Finally, the missing mirror helped you out 😉 Enjoyed your article, reminded me of my days in Bagan! Your photos are incredible! I views look amazing, and the food is making me super hungry! 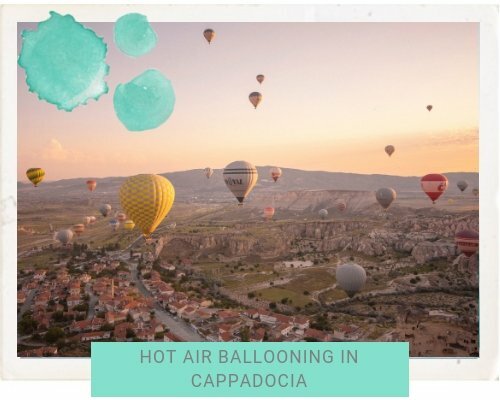 Your hot air balloon photo is beautiful 🙂 Great post! So beautiful that you saw the balloons! I was there at the wrong time of year (rainy season!) 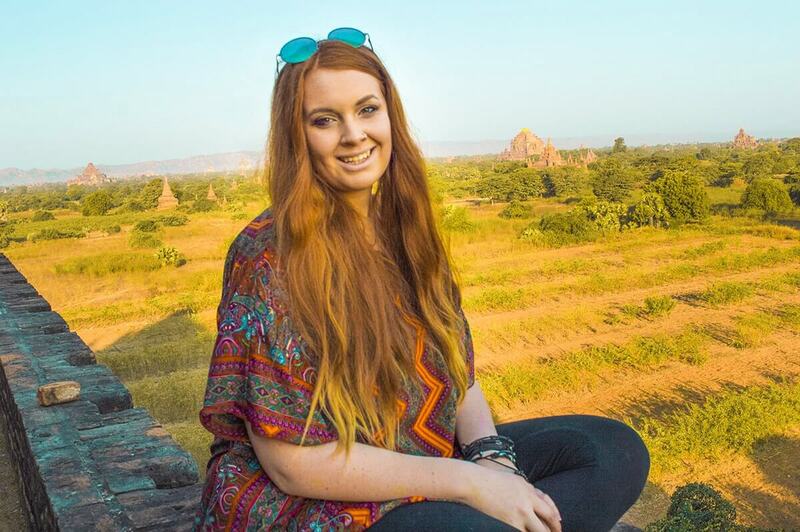 but we still managed a few great sunsets/sunrises on the top of temples – so magical! Myanmar looks like such a beautiful country to visit. I don’t know that I could do a group dorm room, though. I like my privacy. Wow, stunning pictures. I would love to try hot air balloning some time. It’s been on my bucket list for a while. 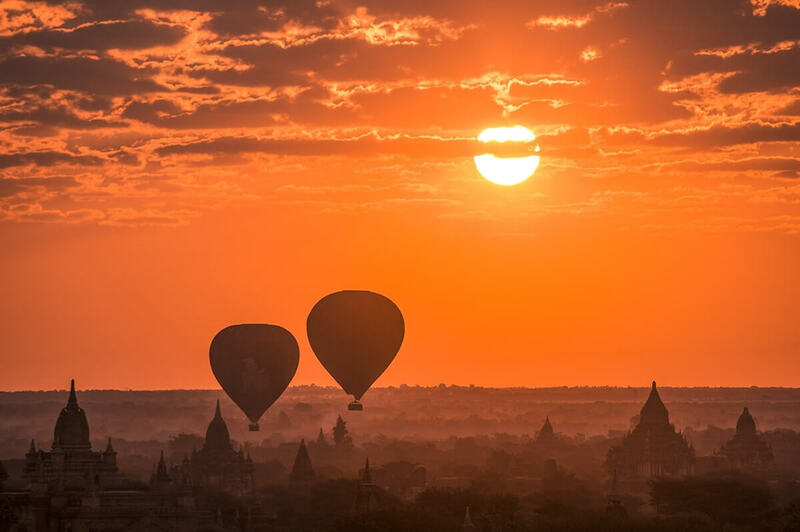 I think to do it in Myanmar at sunrise would be magical! 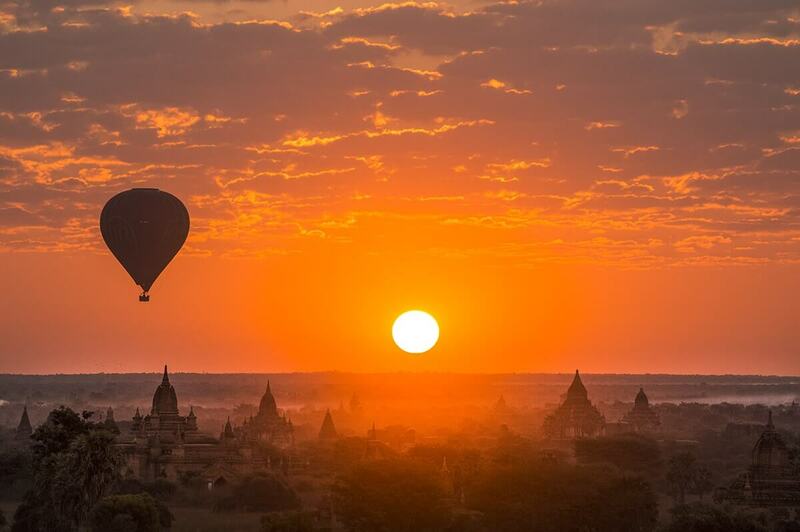 All photos I see of Myanmar sunsets are stunning. I really must make it there one day. Such a shame you got ill for half your stay but looks like you managed to fit a lot into two days! What a full two days! 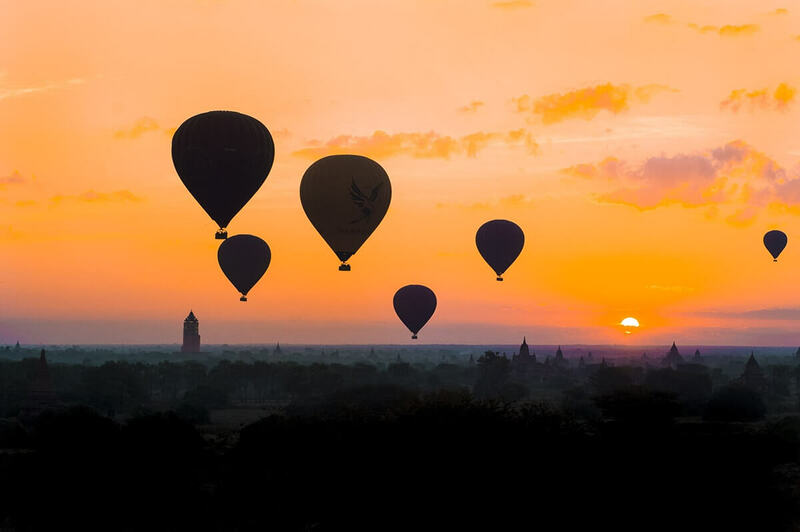 I hadn’t seen that part of Myanmar before and the balloons are exquisite. Great pictures and I’m so glad you shared. Its an amazing part of Myanmar to visit! 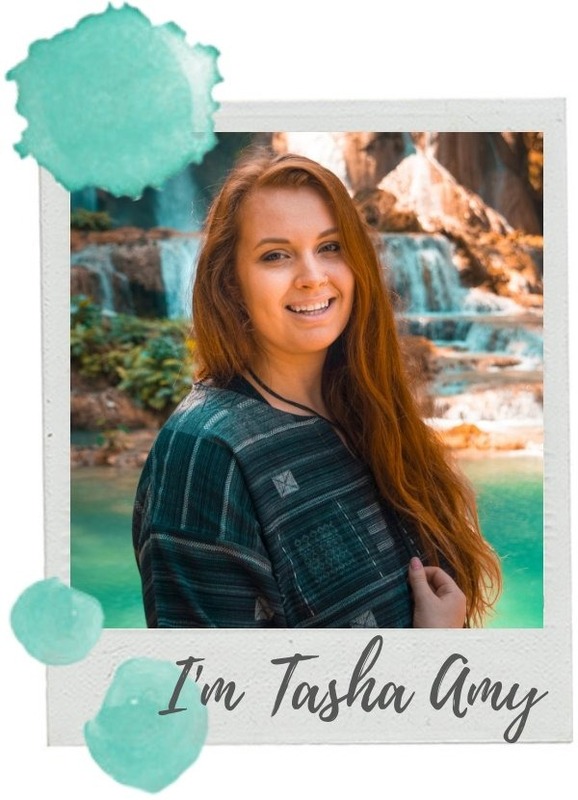 Your photos are super gorgeous, Tasha! Definitely worth looking like an idiot running around to capture this beautiful scene. 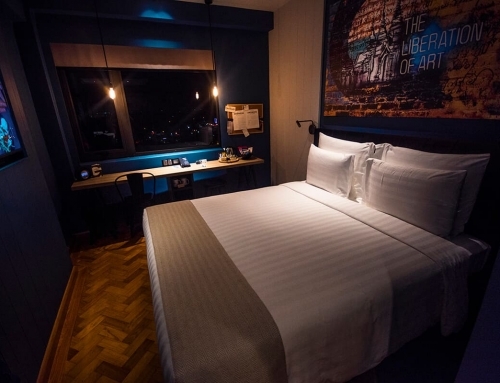 I’m planning to visit SE Asia in January and I know where I won’t stay. Thanks Jasmine! Haha totally agreed, where abouts will you be visiting in SE Asia? You’ll have a great time! Beautiful pictures! This looks like a great way to spend a few days. Thanks for the heads up on the hostel too. Sounds like a place to avoid. 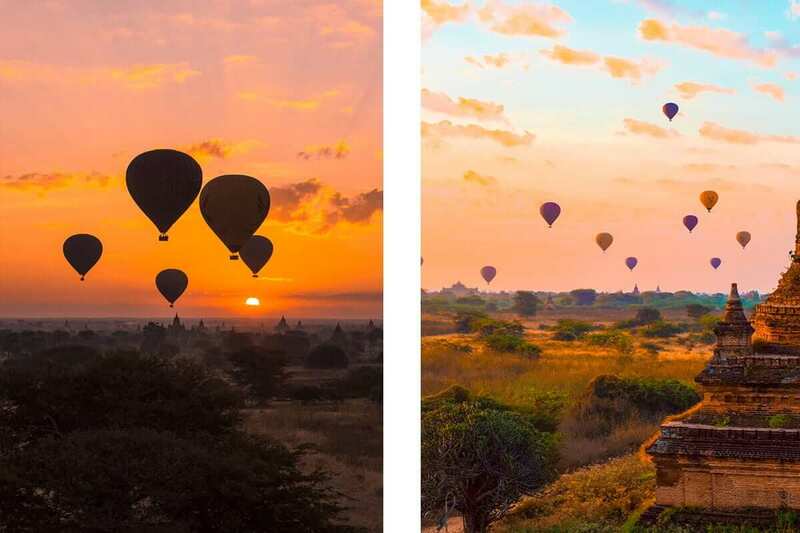 I’ve always wanted to visit Myanmar and your gorgeous photos with the hot air balloons floating across just fueled my desires further! Thank you for a very honest opinion of the hotel… very helpful! Oh the balloons just make it even more magical! What a bummer that you got sick, and that hotel sounds super shady! Looks like you still managed to have a bit of fun, though! The one positive of jetlag is being up super early before everyone else! Haha very true about the jetlag, it made the early starts a lot easier! I’m sorry to hear that your hotel was not up to par. It looks like you were able to make the most of the situation and had a good trip!